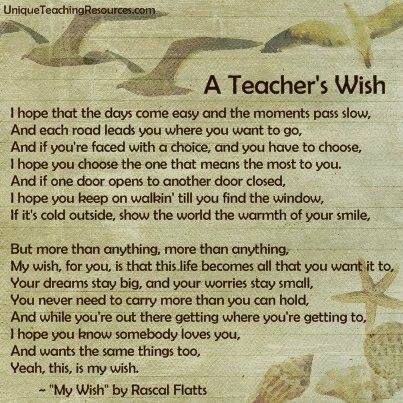 This beautiful poem sums up exactly what I wish for my students’ future! This entry was posted in 4e-3e, INSPIRATIONAL MESSAGES AND QUOTES, Older students and adults, TEXTS and tagged education, inspirational, poetry. Bookmark the permalink.